When it comes to losing fat, I often hear the question: “Why? Why am I not losing fat?” The truth is there are many different factors that can contribute to fat storage instead fat burn. Below I will be covering the top 10 reasons you are storing fat right now, and I will be showing you different ways on how you can reverse that into fat burning! If not eaten properly, carbohydrates and sugars are the lifeblood of fat storage. When our bodies digest carbohydrates, they send our insulin and blood sugar levels on a roller-coast ride. Having too many of these insulin and bloods sugar spikes is a case for disaster when it comes to storing fat. One of the first things I tell people when it comes to getting lean is they need to cut down on the carbohydrates. This does not mean to cut them out completely but you definitely need to understand when the best times to eat carbohydrates are, so they can work for your body and not against it. After a tough workout: The best time to indulge in carbohydrates is after a tough workout. Because our bodies use up the glycogen in our muscles when going through an intense workout, carbohydrates will help refill the glycogen stores in our muscles and aid in recovery. Eating carbs after an intense workout will have very little effect on fat storage. In fact, it will help burn fat and aid in lean muscle growth. Cheat Day: If you focus on eating whole natural foods throughout the week, the next best time to eat your carbohydrates is on a cheat day. Each week, if you stay strong to eating healthy foods, you should take one cheat day to boost your fat burning back up. When we restrict certain foods, a scheduled day of overeating will help to tell our bodies that it is ok to continue burning fat. When restricting calories for long periods of time, our bodies start to slow down fat burning and will start to store fat instead of burn it. It usually takes the body 6-7 days to start slowing down fat burning so that is why it is important to have a cheat day once per week to help boost your metabolism and fat burning into more optimal zones! 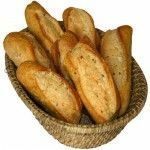 The real issue with carbohydrates is that many times it is the people who are the least active that eat the most of them. Inactivity and carbohydrates is a recipe for disaster. The more active you are the more carbohydrates you can eat to help replenish your body, aid in recovery, and help with lean muscle growth. Along those same lines, the less active you are the less carbohydrates you should be eating. Lowering your carbohydrate intake allows you to eat a higher fat diet to meet your caloric needs but this does not mean you can just go crazy and eat all the fat you want. Fat contains nine calories per gram compared to carbohydrates and protein, which contain four calories per gram. Although healthy fats should be a main focus in your diet (along with protein and vegetables), you cannot go overboard or go crazy and expect to lose fat. If you are eating more calories than you are burning, you will find it very hard to get lean. Now please note, I am NOT saying you should follow a low fat diet. A low fat diet is far worse than having a diet too high in fats. Good fats should be at least 25% of your daily caloric intake. If you are focused on incorporating good fats into each meal, along with your protein, vegetables and carbohydrates (at needed times) you will see incredible fat burn and results! Good fats will burn fat so they are a must when trying to get lean. Fats are great to incorporate to help meet your caloric needs but eating a whole pound bag of almonds or two sticks of butter everyday may not be the best choice! Remember, a diet high in healthy fats will not make you fat. In fact it will help burn fat and make you feel better than ever! You just need to monitor how much fat you eat so you are not going overboard and effecting your results! Don’t think that just because you cut your calories down that you will start losing good weight. Sure cutting calories will help you lose weight but if it’s not the right calories or if you are cutting too many calories, you will start losing muscle and storing fat. One of the biggest mistakes you can make when it comes to losing fat is not eating enough. Cutting down too much on calories is not only dangerous but it will cause your body to store fat and lose muscle (a deadly combination). When trying to lose fat your focus should be on eating whole natural foods, and to eat them when you are hungry and until you are satisfied. You should not be starving yourself in order to lose fat or lose weight. If you are eating the right foods, the fat will melt off. Many times you will hear people complain that they have stopped burning fat or are at a “stand still” when trying to lose weight. The reason is their bodies are being forced to store fat as back up energy because they are not getting enough calories. This is something you do no want and must avoid! You will find that when you eat a diet high in protein, it will be easier for you to lose fat and get results. Protein should be incorporated into every single meal, and should be the bulk of the food that you eat. A good rule to go by is to try and eat at least your bodyweight in protein each day. This means if you weight 150 pounds, you should shoot to eat at least 150 grams of protein a day, if not more! Protein is the key component when trying to add or maintain lean muscle, and is also a huge contributor to burning fat. So stop shying away from the protein and start upping the intake! The morning lattes, the afternoon sodas, and the post workout sports drinks are absolutely killing the results you are getting when it comes to losing fat. 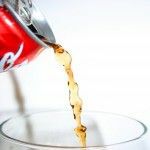 Drinking calories or “diet” calorie drinks will contribute straight to fat storage. This includes fruit juices, sports drinks, milk, lattes, mochas, etc. Focus on drinking water! Black coffee and unsweetened teas are also ok in moderation but water should be your main focus when it comes to beverages. Even the “diet” and “zero” calorie sodas are killing your gut. If you want to lose fat, stop drinking calories and put down the soft drinks. Focus on drinking water! Alcohol has a huge effect on fat storage because it inhibits our bodies from burning fat when it is consumed. When we consume alcohol it disrupts fat burning and muscle growth for hours after it has entered our body. Most times alcohol is stored as fat, and not to mention it is loaded with calories we do not need. Do you want to look like a marathon runner or a sprinter? If you want to lose fat and get ripped, the long slow chronic cardio sessions must stop. Doing too much cardio can be detrimental to our health, fat storage, and will kill off our hard earned muscle. If you are really looking for some serious results, stop the chronic cardio. If you want to engage in a low intensity activity that will benefit you, stick with walking or hiking. Other than that break ties with the long slow cardio once and for all! After going through our six-pack abs series, I hope you are now realizing the importance of heavy lifting when it comes to burning fat. Not only will lifting heavy build lean muscle but it will also allow your body to burn calories and fat for hours after your workouts are finished. So many people think that when trying to lose weight they need to bump up the repetition load and cut down on their rest time. Although shorter rest periods are fine, you need to be careful with your repetition range. Doing high rep workouts for a long period of time can have the same negative effect that long slow cardio has on our bodies and muscles. When trying to lose fat, the main purpose of your strength-training regime should be to maintain your hard earned muscle. If you do not have much muscle to begin with, your focus should be on getting stronger which will ensure muscle growth and will help replace the unwanted fat with lean muscle. Lifting heavy is so overlooked when it comes to losing weight but it is essential when maintaining and putting on lean muscle, and when trying to burn tons of fat. The more muscle you have, the less fat you will have. Do not be afraid to pick up a few heavy weights 2-4 times per week. If you are still nervous about getting “bulky”, cut your rest times down to between 30-60 seconds but continue to lift heavy weights for lower repetitions. When trying to lose fat and get lean, sprints are an absolute must. I know I said to cut out the cardio in number 7, but I do not even consider sprints to be cardio. They are in a category of their own when it comes to workouts, fat burning and lean muscle growth. Sprints naturally produce Growth Hormone (GH) in our bodies, which is essentially when trying to get lean, and stay strong and healthy. Not only that but doing sprints allows the body to burn fat for up to 48 hours after the workout is over. This means a short 20-30 minute sprinting workout can allow for two full days of fat burning. Not a bad trade off! Aside from your diet being number one, and strength training for the lean muscle gain and muscle maintenance, sprints should be the very next thing you start to incorporate. In terms of fat loss, sprints are where it’s at! Adding in sprints 2-3 days per week is usually enough for most people, but it is fine to add in more if needed. Getting enough sleep is going to be key when trying to lose weight and lose fat. When you don’t allow your body the sleep that it needs, it interrupts the natural production of GH and testosterone, both essential when trying to stay lean and burn fat. Plus, cortisol (aka. “The fat storage hormone”) levels shoot up and insulin sensitivity decreases meaning the foods we eat will have a greater effect on fat storage when we lack sleep. Sleep may be the biggest factor when it comes to why you are not losing fat right now, so it must be a top priority. A good nights sleep can have a positive impact on many areas of your life, fat burning included. Shoot for 7-8 hours of sleep a night! These are just 10 of the most common factors I see when it comes to why people are struggling to lose weight and lose fat. Losing fat is not easy, but it sure is simple when you have the right information and some serious dedication. What factors are holding you back from losing fat or losing weight? This article was exactlly what I needed – I use to be able to bulk and stay lean, no problem. But after my apendix bursted, I have had a really hard time keeping off my spare tire. The one thing I was NOT incorporating into my workout were sprints. I’m going to start that tomorrow. I’m also going to pass this on to my fiance – I know this information will help her as well. Sprints are absolutely incredible! Not only are they time efficient but they bring great results. Remember though, it all starts with nutrition. Nutrition alone will get you there, but the combination of nutrition and the right workouts will get you there fast! Look Good, Be Healthy, Or Both? "Unhealthy" Food That Burns Fat!